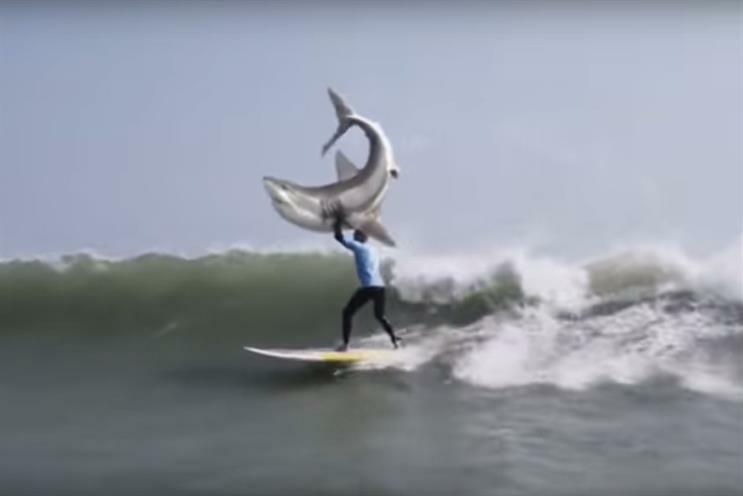 Ogilvy & Mather has apologised for creating an ad for KFC South Africa that spoofed professional surfer Mick Fanning's shark attack. The fast-food chain’s South African business began running the ad on TV on 6 October. The spot opens on a surfer that looks like Fanning wrestling with a shark, before lifting the animal above his head in triumph. The ad promotes KFC’s Jacked Up Double Crunch sandwich. It went viral and was criticised by Fanning’s mother, Elizabeth Osborne, who told Fairfax Media the spot was "very disrespectful". Osborne said: "They've put a lookalike in the video. It really brings back a lot of trauma for everybody who has been attacked by a shark. "Some families have had fatalities and some people are still absolutely scarred without limbs. It's disrespectful to them and Mick is not at all happy with that." In a statement, a spokesman for the agency said: "Ogilvy & Mather South Africa is aware of the negative response to the KFC "Shark" TV commercial in the Australian market, which aired in South Africa from 6 October 2015. "We recognise that this commercial has offended the Fanning family and the Australian community and for that we sincerely apologise. Along with KFC, we have decided to withdraw the commercial across all channels." In July Fanning, a three-time world surfing champion, was attacked by a shark during a competition in South Africa. The event was being filmed for TV and footage shows Fanning struggling with the animal before being brought to safety. Fanning was unharmed.